Smash Into The Next Level! Two games in one! Play Champion Edition or the new Hyper mode! 24 MEGS of heart stopping martial arts action! 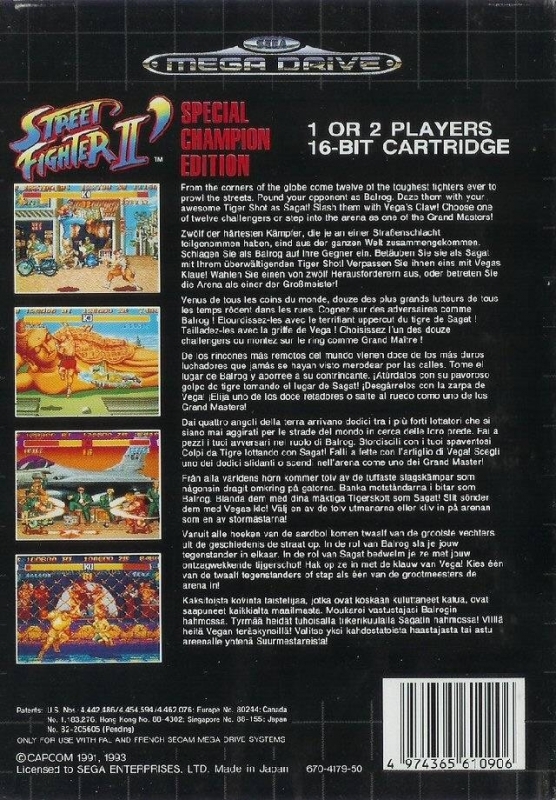 Choose from any of 12 unique fighters. Each with their own unique fighting style and special attacks! 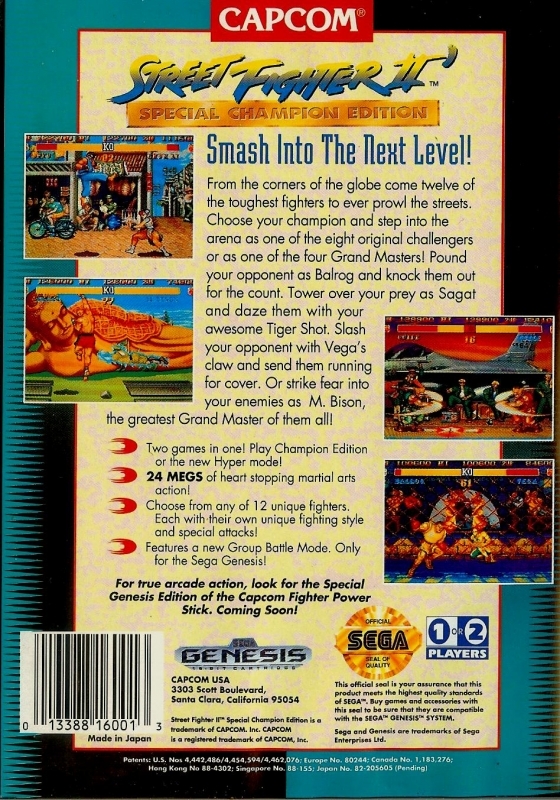 Features a new Group Battle Mode. Only for the Sega Genesis! 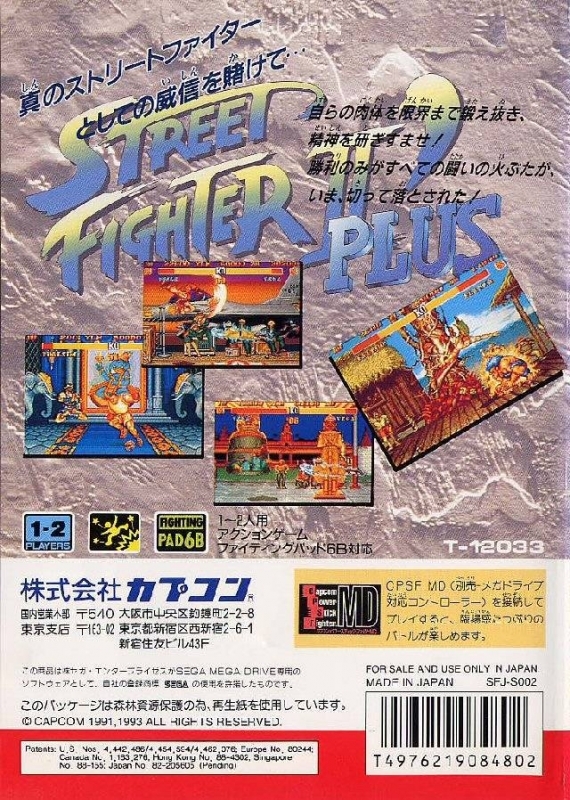 Not as good as Super Street Fighter II. Lacks in graphics, sound graphics, and animations. But, this one has a sound test.